The latest! Roy's new album RiZe Up and the recently released DVD video ReZist. A great package for anyone just discovering Roy's music. 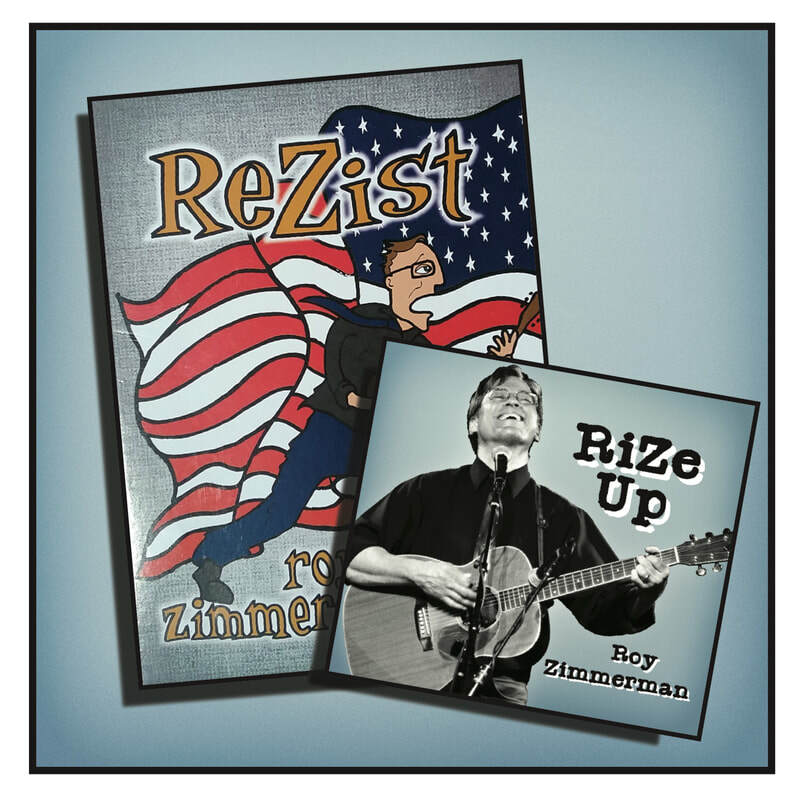 The RiZe Up CD is a funny and forceful expression of resistance in the time of Trump, masterfully produced, securing Roy a place in the Americana firmament. ReZist is a complete live show, filmed in front of a raucous audience at McCabe's Guitar Shop in Santa Monica. Laugh, hope, rise up and resist along!